It’s a new year and that means it’s time to upgrade your grooming routine. Perhaps your barber just isn’t cutting it anymore. Maybe the man bun is so 2016. Each man has his own way of doing things. Therefore, why rely on a single product to get the job done? Below is a list of the 5 best mustache wax and butter options on the market. Ranging from most affordable to higher end waxes, they accommodate all budgets. Take a moment to learn more about mustache wax, how it works, and where to find it! Don’t be afraid to shop around and compare products. This way, if one way doesn’t work out, there are other products to test out. Here are 5 products that can elevate your routine. What Is Mustache Wax Made Of? For many years, mustache wax was used continuously for a beard or mustache, and its ingredients changed depending on the periods and civilizations the waxes were made. Now, we have access to all the various elements different cultures used to create waxes, allowing us to formulate a clear and complex mustache waxes. 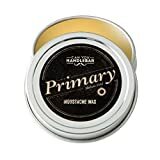 For a Softer, medium-hold mustache wax, the utilization of carrier oil was added in a range of beard or mustache grooming products, including beard balm and oil, and beard wax. Carrier oils are utilized to provide mustache wax a distinct texture and to help your essential oils which give the wax scent and spread equally through the entire mixture. Petroleum jelly is possibly the most famous ingredient for mustache wax. It is easy to work with, it quickly melts at a low temperature, and is immediately available. It has a distinct texture that is smooth to spread into a mustache. The two most common carrier oils found in mustache wax are coconut oil and sweet almond oil. These are plant-derived oils that are great for the skin. Mainly, the coconut oil is a favorite recipe among men. 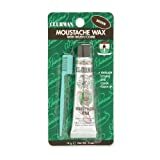 How to Use Mustache Wax? To make styling your mustache convenient, consider applying your wax with a mustache comb for more significant results when styling it. Preparing your mustache wax is the first step. Keeping your tin of wax in a pocket will undoubtedly help warm up your wax, but this is not always sufficient to effectively soften it, particularly in cold weathers. If you are always on the go, warming the tin in between your hands for at least 5 minutes should be enough. But if you are at home and have plenty of time, there are various ways you can prepare to heat up your wax. Others use a hair dryer or run their covered tin under hot water for a couple of minutes to melt the wax. You want to soften your wax without turning it to liquid so be careful when heating it to make sure that it does not get too hot. The more you use wax, the more accustomed you will become with the preparation it needs and will determine the softening technique that will work best for you. To apply the wax, scrape out your preferred amount using your fingers. Usually, it is recommended to use a pea-sized amount. However, this can be modified. Mix the wax you gather with your nail into a small ball. Then proceed to flatten the ball into your fingers. It will begin to melt at this point and ready to apply. Start to smooth the wax. Use your comb to spread it throughout your upper lip for a more natural appearance. If you want a more exciting look, you can just twist each end. Looking to keep it old school? Consider getting a Clubman Moustache Wax with Brush Comb – Neutral 14g. This simple 2-in-1 pack of wax and comb takes the hassle out of going through a multi-step styling routine. No more fumbling around to find the right combination of product and tool. The best mustache wax shouldn’t require you to put in loads of effort. This classic wax can be used to easily style your mustache into the desired form. Having the comb included makes the process that much simpler. Also compact in size, you can carry this with you on the go for any necessary touch-ups. If you require a larger comb, you can purchase the Kent 81T- Men’s Handmade Beard/Moustache Comb. Ironically enough, this alternative comes in the size X-Small. 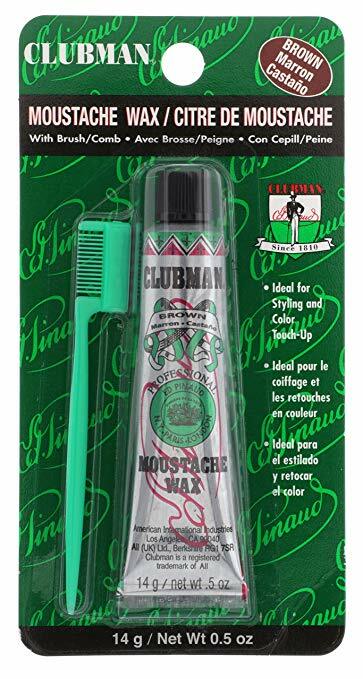 Another appealing quality about the Clubman Moustache Wax with Brush Comb is its low price. Accessible to everyone, this wax is a great way to begin experimenting with mustache styling methods, without breaking the bank. 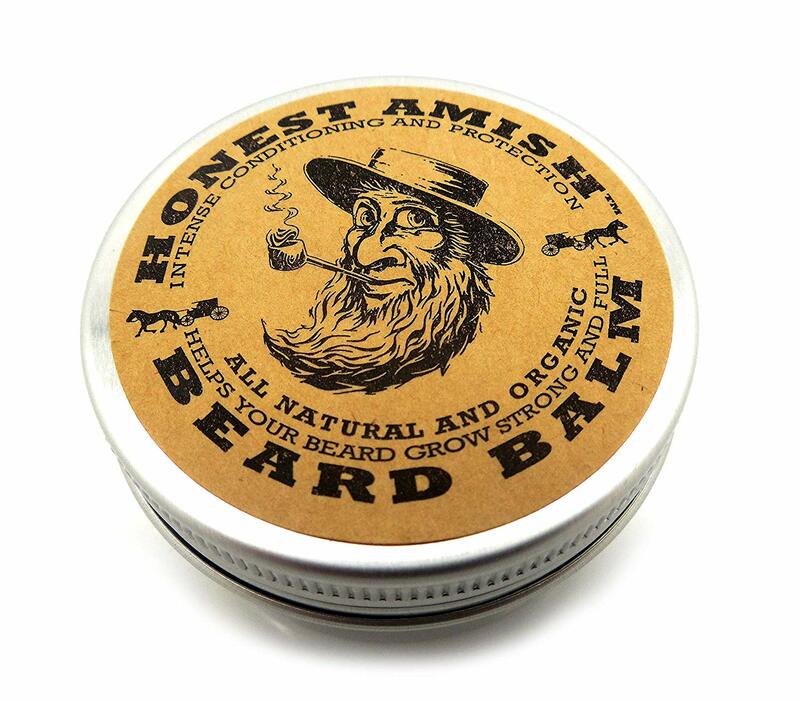 For a cheaper and eco-friendly alternative to the unknown chemicals in standard hair products, try the Honest Amish Beard Balm Leave-In Conditioner. Produced with entirely organic ingredients, you won’t have to worry about synthetic substances becoming part of your hair routine. A nice fusion of mango butter, Argan oil, and Jojoba oil, the antioxidants included in these fruit-based oils can strengthen your hair. Using all-natural ingredients means this product can provide extra benefits for your skin and hair. Be sure to decide beforehand whether or not you’re a fan of citrusy smells. If you’re into citrus scents, this product will liven up your morning routine. On the other hand, if you find fruity scents overwhelming, you may want to put this product back on the shelf. Another benefit of using natural oils is that they can serve as a leave-in conditioner. In the long term, it will soothe any itching you experience. Many men have to deal with an irritating itch in their mustache or beard. Therefore, this formula helps relieve them of that struggle. Why shave your facial hair off completely if you can find an alternative solution? A man’s facial hair can impact the way he feels about himself. Therefore, having multiple options is important. 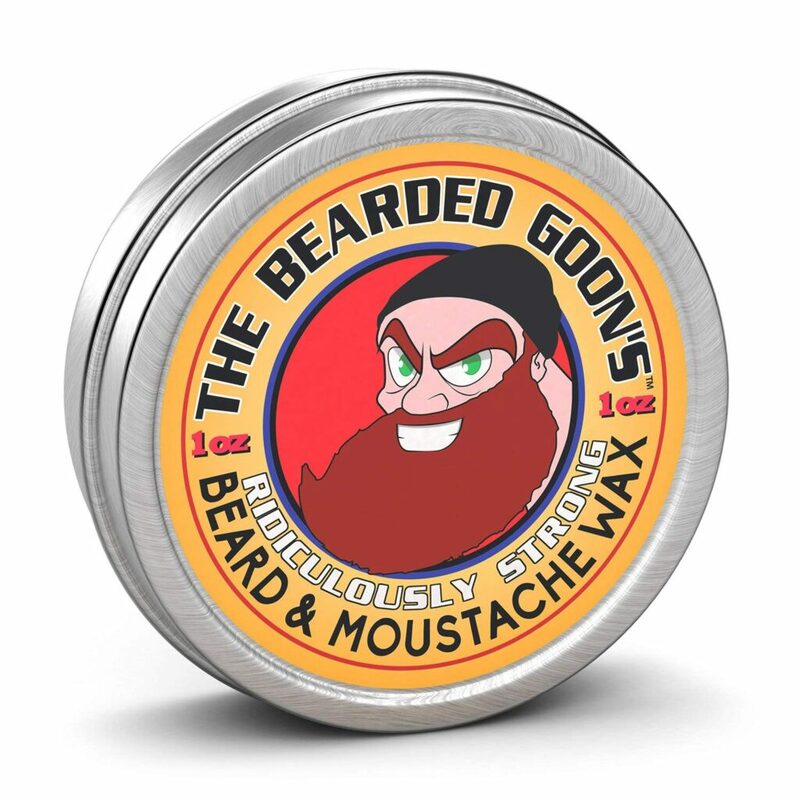 Starting off with one of the best products created for a tight budget, this mustache wax created by a man who named it the Stache Bomb Stache Wax Mustache Wax. 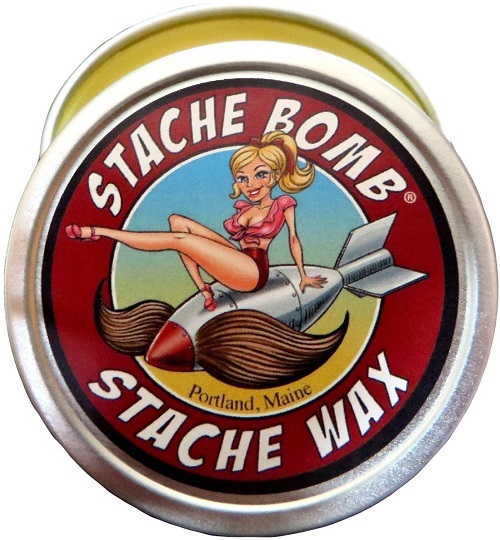 Made in Maine by Jamin Badger, this mustache wax is designed to be of the utmost quality. The primary ingredient is beeswax, with a decadent splash of pine-infused citrus scents. The Stache Bomb also happens to be one of the most successful products in its category. If a professional wrestler like the Iron Sheik can depend on the Stache Bomb, it’s probably a good investment. 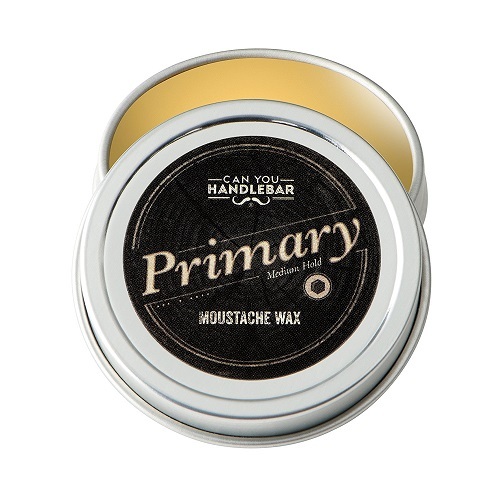 Cleverly branded in an amusing package, the Can You Handlebar Wax is known for its durability throughout the day. You can go about your day freely with this one, knowing that your mustache will remain in one place the entire day. Add to this the benefit of vitamin E oil, and we’ve got a winner mustache wax on our hands! An exciting fact about this homemade brand is that the mustache wax itself uses locally-sourced wax from the bee population in Michigan. If you’re feeling luxurious, consider getting your hands on one of the more expensive waxes to hit the market. Is it the best mustache wax? You decide! The Firehouse Moustache Wax, Wacky Tacky arrives in a compact tin container made to fit in the size of your palm. Don’t be fooled by the silly name–this mustache wax gets the job done! If you need a long-lasting, reliable best mustache wax, the Firehouse Moustache Wax could be a great option for you! This wax works best in combination with a comb and the Can You Handlebar All-Natural Secondary Moustache Wax. 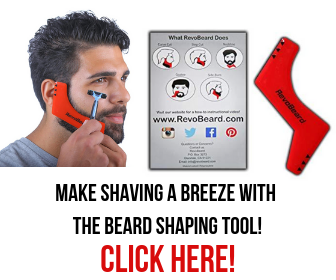 This product is the most versatile of the bunch, as you can also apply it to your beard. The possibilities are obviously endless when it comes to keeping one’s mustache looking neat. There’s nothing wrong with leveraging modern formulas to keep yourself feeling good. You know what they say: when you look good, you feel good. Our appearance is an important part of our identity and our self-expression. We’re all different, so why rely on a single product to get the job done? Explore different options to see which one works as the best mustache wax for you. Let us know which you or your friend found to be the best mustache wax! Give these newbies a try; your mustache will thank you for it. Next story Braun Series 7 Review: Why Should You Purchase This Electric Shaver?